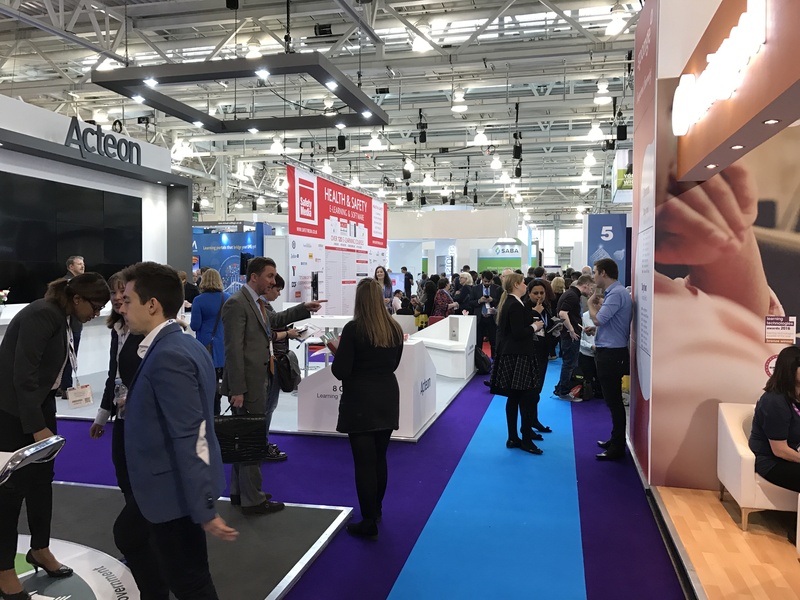 With two big fairs and conferences, the New Year generally starts with lots of inspiration for Learning & Development: First the LEARNTEC for the German-speaking market in Karlsruhe, then the Learning Technologies in London with a stronger focus on the UK and Ireland. LearnChamp attended both. What were our take-aways? No matter whether in the English- or German-speaking market: We all seem to be concerned with the same challenges, and hence concepts and tools: Blended Learning (an evergreen, it seems), games and gamification, social, mobile learning and microlearning as well as the use of storytelling techniques. We noted that solutions for augmented and virtual reality were more prominent now at LEARNTEC than in years before. Moreover, adaptive learning seems to become more and more realistic a solution, i.e. data-driven solutions that continually adapt to learners’ interests and results of previous courses. Yet, what was most interesting for me at both events were not the tools and technology but how they were used to respond to organizations’ challenges. I heard a fascinating talk about how L&D supported a massive change at Transport for London (TfL), London’s provider of bus, train, riverboat and underground services. Alexandra Bode-Tunji, Programme Lead People Transformation at TfL recounted how the organization had to improve their customer experience while at the same time being faced with cuts in funding and rising numbers of customers. Amongst others, TfL chose to introduce self-service ticket machines. Their staff had to be trained to not only explain to customers how the machines worked but also what type of ticket they needed. After a thorough diagnosis of the organization’s needs, TfL decided on a blended learning solution including, for example, interactive e-learning modules, role plays, mentoring, and peer-to-peer coaching. They also used a game to familiarize their learners with the diverse ticket options. The game was completely optional yet after a year more than 80% of the staff had completed it. Moreover, they used Change Champions, people from within their organization who helped communicate the purpose of the program and keep engagement up. Change agents from within the organization are a tool that was reported repeatedly in other case studies, whether it was for the introduction of an LMS, digital learning content or an entirely new learning culture. Change agents were also used by Jo Hughes, Head of Organisational Development at Glasgow-based spirits company The Edrington Group. In order to support the company’s growth strategy, Edrington transformed its learning culture from a strong focus on classroom training to a 70:20:10 approach. How do you convince management and employees that learning should (and does!) not only take place in seminars but in the workplace every day? Among Jo Hughes’ advice was: “Communicate, communicate, communicate”: Involve stakeholders from various departments, get buy-in from senior managers, use change agents, and continually keep the subject of learning going through different channels. An element in their strategy that I found especially intriguing was a “Learning at Work Festival”. There, staff shared how they learned in the flow of work thus raising awareness for new ways of learning. The case of Edrington shows that it is not enough to introduce new tools for learning such as an LMS or shiny courses. It also takes time to convince people to make the use of those tools a habit and integrate them into their daily business. Success proves Edrington right: One day after Learning Technologies the company was awarded one of LPI’s Gold Learning Awards. Edrington illustrates vividly that a shift is occurring from learning as an “event” (seminars and courses) to learning as a continuous process in the flow of work that is triggered by the necessities of daily jobs. As Charles Jennings stressed in his talk at Learning Technologies, it is less about the scores staff reach in quizzes and more about their performance in their everyday jobs. Learning becomes much more flexible. That is also why demand is increasing for learning on the go (mobile learning), in small nuggets for learning in moments of need or during short breaks (microlearning). Thus, the job of L&D becomes that of providing resources and infrastructure as well as facilitating a culture that enables continuous learning. We need to make possible exchanges of best practices among colleagues, we need to provide relevant up-to-date information, and we need to set up hassle-free infrastructures that enable employees find the right information quickly when they need it. That is not to say that we can do entirely without formal ways of learning such as face-to-face trainings. They are essential for certain training needs and highly appreciated as opportunities for networking. The same holds true for the two conferences and fairs: Both LEARNTEC and Learning Technologies are networking events. However, it goes beyond that. Especially at Learning Technologies, participants showed a great openness to share their insights on what worked and what did not in their organizations, thus helping and learning from each other. We are all facing similar challenges and will tackle them together. What L&D challenges are you facing? Contact us or comment below and discuss solutions. With an academic background in English Literature and Business Administration, Elisabeth Siegel can live her passion for reading at LearnChamp as a Digital Learning Executive. She surveys and analyses the latest trends in Learning & Development and keeps us as well as our customers always up-to-date.